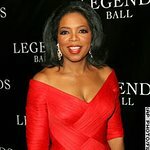 Oprah Winfrey will host a special episode of her show today, Friday January 15, discussing the devastation in Haiti caused by this week’s earthquake. The latest on the recovery efforts and how the Haitians are coping in the midst of chaos and confusion will be discussed by Oprah, as well as how we can all lend a hand and help. This traumatic time for Haiti will be highlighted Live by Oprah. Be sure to check your local listings for the time the episode will air.